The market trend of web development has change a lot in last few years as more and more companies are turning towards PHP MySQL Development - LAMP stack. LAMP is used for developing a small application like a Content Management Site (CMS) as well as many huge applications including well-known applications. Wikipedia, one of the most loved sites in the world has the user interface portion developed using PHP. The popular social networking site Facebook, and a fantastic social bookmarking site like Digg have all benefitted from the LAMP technology. 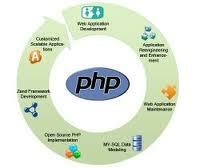 Development of these giant applications using PHP open source has proven the capabilities of LAMP stack.